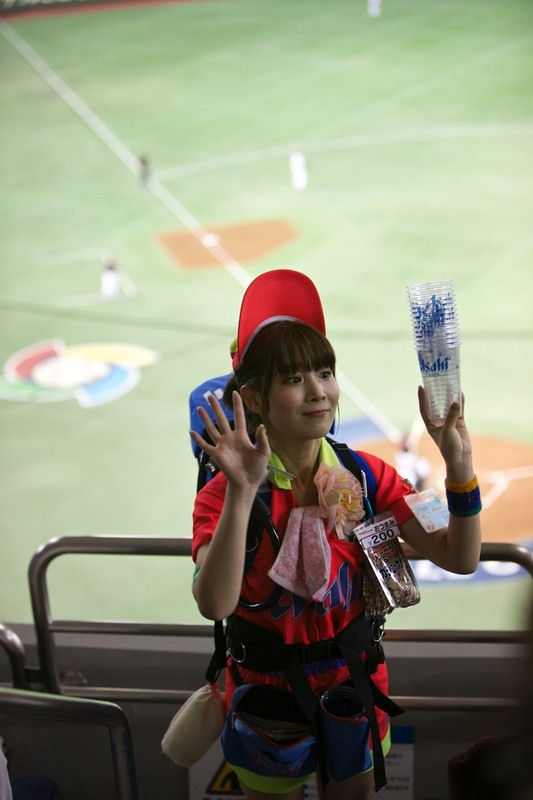 I admit, I have the wrong nationality and grew up in the wrong country to have any clue about the game of baseball. It seems to be an arcane arrangement of folks in caps with very thin bats and a huge leather glove to make catching the ball seemingly dead simple. I had never had any experience of the game or even seen it on TV until I came to Japan. Here is an extreme passion for many and the games are a spectacle on crowd organisation and tribal behaviour. 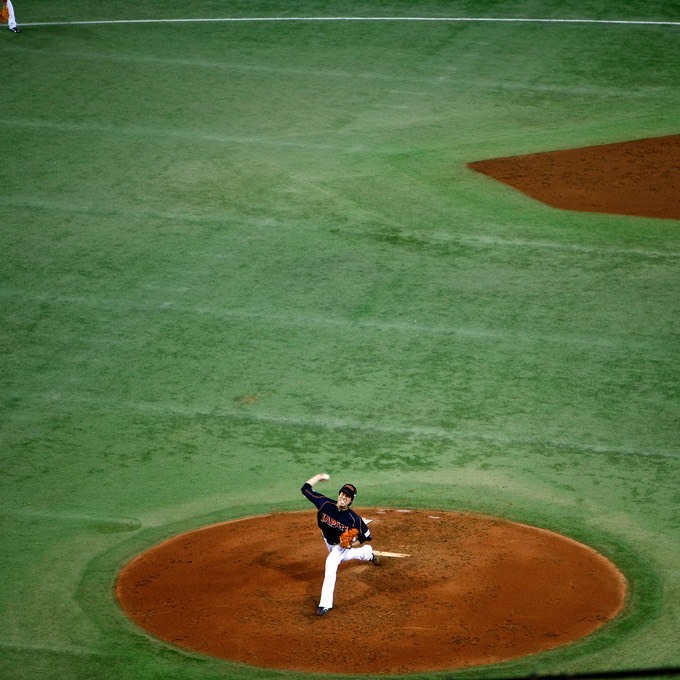 Every few years, there is the closest thing to a World Championship of Baseball - in spite of the Americans holding a "World Series" for some time, they in fact forgot to invite the world. 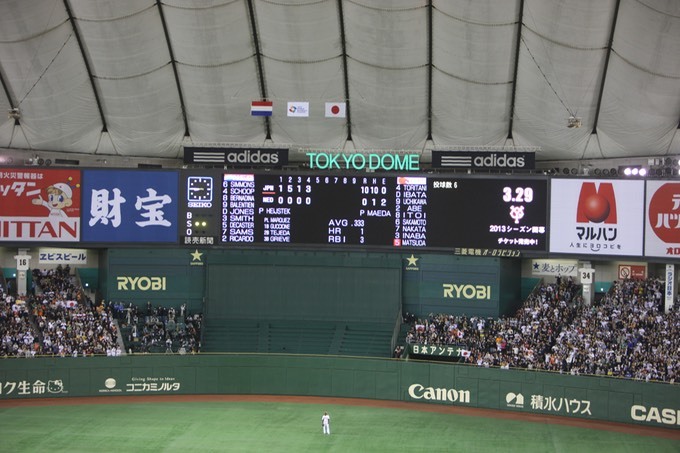 I went along to the game between Japan and the Netherlands (I am not kidding here) at the amazing Tokyo Dome - along with 50,000 of my closest Japanese friends. 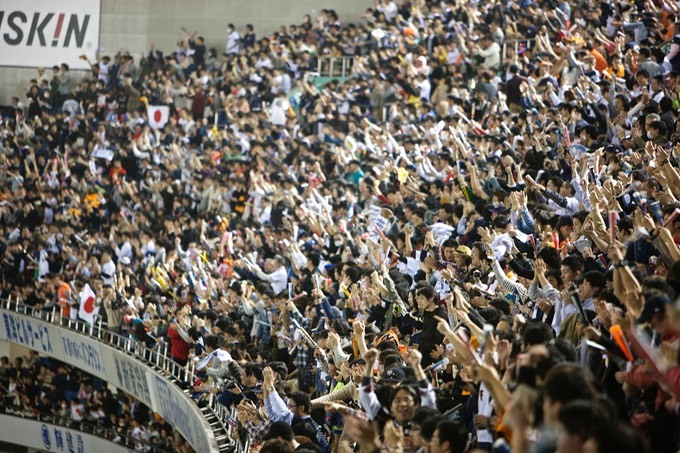 Suffice to say the Netherlands was soundly trounced by Japana nd the crowd got a lot to cheer about. There were God knows how many home runs and it turned into pandamonium for much of the game. 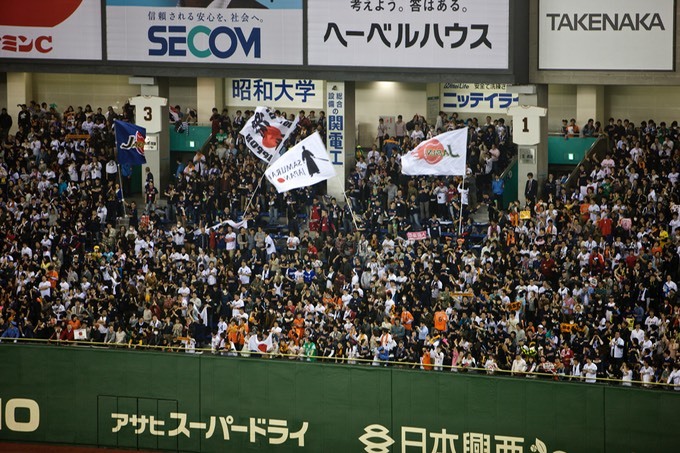 The team call themselves "Samurai Japan" and the flags are everywhere…. The players get to stand around and talk quite a bit. 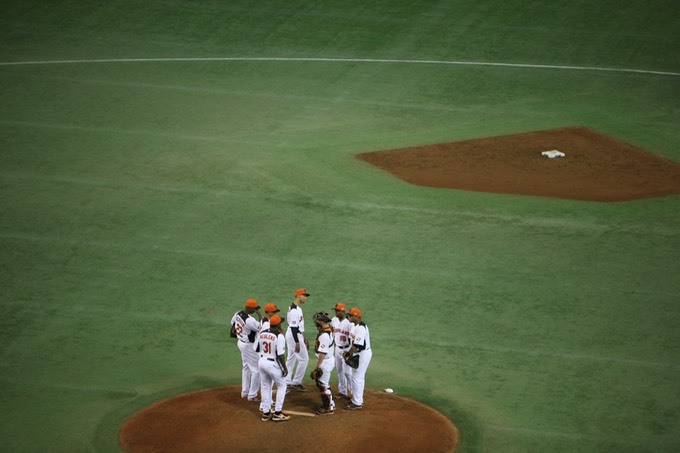 Here they are firing the pitcher for being rubbish.